He ambled off to attend to some business and you made your way to the great hall where is feast is taking place. Immersed in the grand splendor that is a Tudor celebration, you were suddenly pulled from your transfixion when the loud booming voice of Henry VIII echoed in your ears. Your gaze fixes on the large man clothed in cloth of gold, jewels, and fur. He isn’t the way you picture him at all. Very tall, his legs are long and stretch out before him. His hair is fiery gold—the perfect mix of red and blond. A short trimmed beard covers his chin… but what surprises you most is how very muscular he is. All this time you’d thought him fat and a glutton, but this man is lithe and athletic looking. He stands up and again you are impressed with his height. It is then you notice a docile woman sitting upon the throne. She has dark hair, olive skin. She looks very much like an older version of the girl you saw put to bed when with Gerard. “Come forward.” The king demands. Somehow you manage to find your feet, and when you look down, your clothes are suddenly in the same style as everyone else. At least now you won’t have to worry about the questions of your modern clothes. You look from side to side, hoping to catch a glimpse of Gerard, but he is no where in sight. Some tour guide he is! You think fast on your feet. Why does he keep asking all these questions? You just want him to go away now. Your fascination with history has leapt out the window. You can not believe your luck, or is the angels looking down on you and blessing you? There shall be no killing today! Intrigued, you follow the king down a corridor to a closed door, and when he opens it, there are instruments everywhere. The king is a musician? You watch as Henry VIII sits down at an organ and begins to play. His fingers glide across the keys and he hums a song and then breaks out into song, his voice a haunting melody. But every man hath hys frewyll. 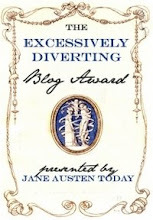 I was lucky and thrilled to review Jennifer Kloester's new book, Georgette Heyer's Regency World: The definitive guide for all fans of Georgette Heyer, Jane Austen, and the glittering Regency periodThis book is a A MUST HAVE for writer's of Regency!!! For reader's if you wanted to learn more about the Regency world and how Heyer's books, Austen's books, and any other of the classic writer's during that time period--up and including your favorite authors of today--and characters that fall into it, this is a fantastic resource!and characters that fall into it, this is a fantastic resource! From the fascinating slang, the elegant fashions, the precise ways the bon ton ate, drank, danced, and flirted, to the shocking real life scandals of the day, Georgette Heyer’s Regency World takes you behind the scenes of Heyer’s captivating novels. As much fun to read as Heyer’s own novels, beautifully illustrated, and meticulously researched, Jennifer Kloester’s essential guide brings the world of the Regency to life for Heyer fans and Jane Austen fans alike. I own several Regency world guide books, but this one went more in depth on particular topics like clothing, shopping, food, men, carriages, entertainments, finances, slang... Pretty much everything you could ever want to know! Ms. Kloester, huzzah, for a job well done! The research was top-notch, not only into the Regency world itself, but for the breadth and depth she went into studying Heyer's work. Heyer is the wonderful author of 26 Regency historicals, who also happened to be fanatical about her research, but in her books, the information graced the pages with such ease and skill, you don't realize that you are reading more than just a story--you're unknowingly getting a history lesson on culture as well. Ms. Kloester brings those characters into her guide book, giving you an inside look not only at Heyer's book but how they correlated to Regency living. The clever thing about that is, I have not yet had the chance to read all of Heyer's books, and now I know several more than I need to purchase! *Note: This book was orginially published in 2005 in the UK, and by Random House in 2008. During the extensive study and research of Georgette Heyer's work for her Ph.D thesis, Jennifer Kloester had access to Heyer's private papers, and other information made available the generosity of Geogette Heyer's son and, as a result, has discovered a wealth of new material on a writer who is known to have been an immensely private person. Kloester lives in Victoria, Australia. Normally my book reviews on History Undressed consist of books with settings in the early 19th century and on back from there. 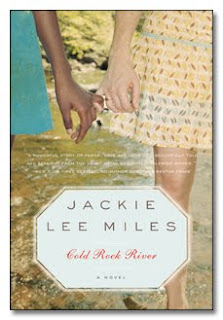 However, when I was sent the information for Cold Rock River, I couldn't not read it--and I'm very glad I did! This book takes place in 1953, with flashbacks to the Civil War through a journal the main character is reading. Seventeen-year-old Adie Jenkins is newly married and newly pregnant, though not necessarily in that order. Unready for fatherhood, her skirt-chasing husband isn’t much help. But in this stunning tale that redefines intimacy, love, and family, Adie discovers hope where she least expects it: from her sweet neighbor Murphy, from the world-wise midwife Willa Mae, and in the worn pages of the diary of a slave girl—a girl who is much closer to Adie than she thinks. Cold Rock River is an emotionally gripping tale that will reach and grab you from line one: "I was five that spring Annie choked on a jelly bean." How can you not continue reading from there? Does Annie make it??? Ms. Miles did an excellent job of painting the picture of the small towns this book is set in. The characters are simple at heart--yet the depth to which she worked on their characterization made them real, poignant, and she does so in a way that you sympathize with them. Poor Adie (and not to mention Tempe--dear God, poor woman!--and everyone else too!) goes through--you can't even say the wringer! One unfortunate, and horrible thing is thrown at her after another. Just when you think she might find some peace, something else happens. I wanted to reach into the book, pluck her out and give her a hug. Sadly, my husband had to interupt my reading at one point to inform me that the baby had just looked at me and said "Mama," while clapping her hands... Fortunately, she did it again once my attention was broken! Thank goodness it only took me a couple days to read the book so I didn't miss out on anything else. Cold Rock River is a book, not for the faint of heart, but one worth reading. "Bonsoir,” Sir Gerard Ashby of Linconshire says to a crowd of courtiers as they pass, bowing and doffing his cap. He has only just arrived back at court after spending the last fortnight at his manor home, and overseeing that his lands are being properly maintained in his absence. Gerard has taken it upon himself to greet people with French, as it is quite popular to emulate the French… Well, it is right now anyway, because the French and English have an alliance of sorts. As a second son of a Viscount, and his mother being a lady in waiting to the Queen of England, Gerard and his siblings have grown up at court. But alas, there is no title to come to Gerard from his father’s name unless his brother passes… Gerard crosses himself for even thinking such a thing. If he shall become a lord, it will be for his good deeds for the king. 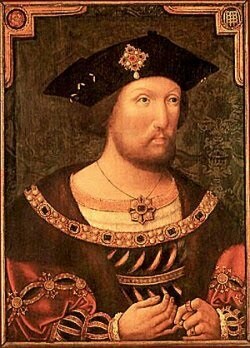 Should his gracious majesty King Henry VIII deem him worthy, perhaps he might bestow a title and more lands upon him. He has already shown his loyalty and strength in battle, and was knighted some two years ago. Gerard turns and sees you have come to observe him. He siddles up to you. “Alas, I shall take you by the hand then.” Gerard reaches out his hand to you, offering to take you on a journey to the past. Grip his hand if you want to take the journey! Gerard takes you down the hall into a quiet and dark room. He opens a shutter on a window, and when you think you will get a view of the landscaped gardens below, something else comes into view. It is a young couple, they lay in bed, sheets pulled of to their necks. They look half scared to death. Couldn’t be more than sixteen years of age or so. Both are staring at the ceiling until one finally closes their eyes and then the other does as well. The candles are snuffed out, and then the sun appears to rise and shine on the two who slept soundly through the night without touching. “This is where it all began,” whispers Gerard. “Where what began?” you ask. “Rumors… the untruths that will rock a nation, tear apart a marriage, cause deaths,” he answers. You turn back confused and watch as the young man leaves the room. A maid enters to wake the young lady still in bed. She helps her up and looks at the clean white sheets, clucks her tongue. The young woman looks with furrowed brows at the servant. “Be you still a maid and not truly married? 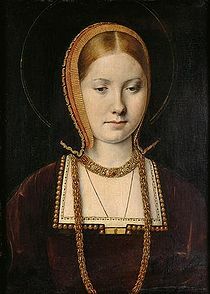 Still Infanta Catalina and not Princess Catherine?” the servant whispers. 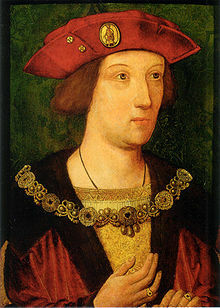 The window darkens for a moment and then opens again, but this time on Prince Arthur in his chamber as several men prance around, dressing him. “How goes your night, your highness?” one of the men asks, as they all rub elbows and guffaw. The men laugh and again the lights dim. Sounds like a truly romantic story… You want to hear more, but Gerard says you have to wait. He has business to attend to, he shall return to fetch you later. But all that stops when a loud boom voice pulls you from your dance mid-twirl. When Ms. Erwin approached me about reviewing her book, So Faithful a Heart, the love story of Nancy Storace and Mozart, I was immediately intrigued. I'm a huge fan of Mozart, whose music I have long adored. Additionally, I am a sucker for love stories and history, especially if they are based on real people. For twenty-six years Nancy Storace kept Wolfgang Mozart's love letters locked away inside her desk. They were all she had left of him after his unexpected death, all that history would require as proof of the love they'd shared. So Faithful A Heart is a story of intrigue and passion, of joy and despair, of courage and hope, and it is a story of how great love often exacts a great price. The story opened with an emotional prologue, that had me quickly turning the pages, and it didn't stop from there. Ms. Erwin gracefully pulls us into the story, and makes quite an impression on the reader with her vast knowledge of the time period, the real-to-life characters and knowledge of music. When doing research on hsitorical muscians' you often hear about how they compose, how they perform, little tid-bits of their personal life, but nothing such as this. Ms Erwin delves into the life of Mozart and Nancy, taking the reader with her. The book is an emotional heart-wrencher. You feel for all of the characters: Mozart, Nancy--his mistress, Constanze his wife, who has to deal with so many deaths of her babies that I just couldn't imagine living in that time! Even Aloysia, who drives you batty with her jealousy and the how she provokes people garnered my empathy. And then finally the circumstances around his death...heartbreaking. For one who is so beloved in the music industry even to this day, his life was full of adventure and tragedy, and we are introduced to a woman who was so important in his life, and a musical sensation in her own right. A true love story they had, and unfortunately because of the times they lived in and choices that were made prior to them marrying, they weren't able to live that life together as they should have been allowed. This book is not a light read. I did cry while reading it. That being said, I would recommend reading it, especiallgy if you are a fan of Mozart. I also enjoyed the author's note at the beginning of the book and the one at the end, always fun to learn more about the character's history and their life times. As a Mozart historian, K. Lynette Erwin is recognized as an authority on the life and career of Anna Storace, for whom Mozart created the role of Susanna in Le Nozze di Figaro in 1786. She has performed numerous historic portrayals of the soprano in Oklahoma and Kansas public schools and recitals. She also has an educational research website about Anna, Anna "Nancy" Storace: Mozart's First Susanna. Lynette earned a Bachelor of Music degree in Vocal Performance and Church Music from Oklahoma Baptist University in 1982 and a Master of Music degree in Vocal Performance and Pedagogy at Oklahoma State University. She specializes in the performance practice of the late Baroque and Classical eras and is a member of the National Association of Teachers of Music (NATS) and teaches voice privately. She has extensive experience in musical theater, opera, and operetta. Her various roles include Laurie in Oklahoma!, Josephine in Gilbert and Sullivan's HMS Pinafore, the Sorceress in Purcell's Dido and Aeneas, and Katisha in Gilbert and Sullivan's The Mikado. Her Mozart roles include Zerlina in Don Giovanni, Despina in Così fan tutte, and the Third Lady in The Magic Flute. She has also studied the roles of Susanna and Countess Almaviva in The Marriage of Figaro and has performed vignettes of these roles in various performances. In 1999, she was featured as the soprano soloist in Mozart's Requiem at the OK Mozart International Festival. Lynette currently performs with the Stillwater Chamber Singers and lives in Stillwater, OK with her partner S. K. Waller. Between them they have five grown children and an exceptionally excentric, opera-adoring cat. 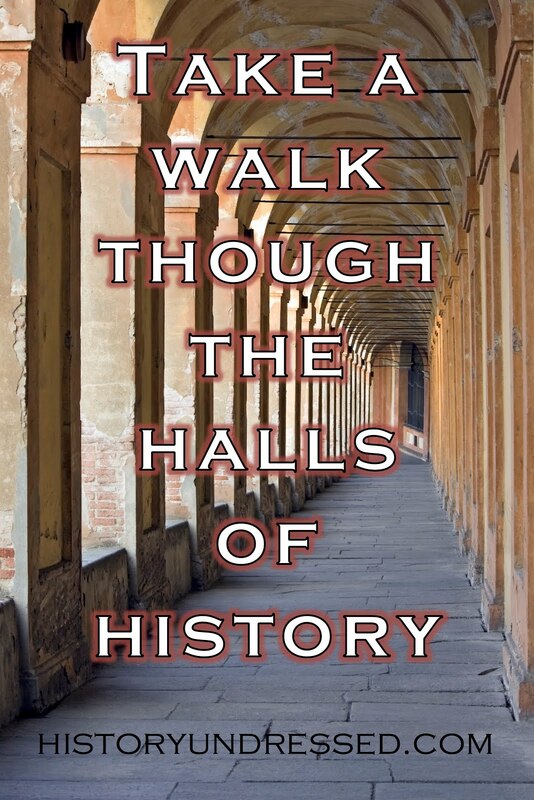 I must humbly apologize to my faithful History Undressed readers! I have been severely lax in posting the entertaining blogs that got this site started in the first place. Life, work and all that jazz took over for a little while. So look out! Another Journey is headed your way... Do you recall the first four part journey I wrote a little over two years ago? Journey to a Tourney, the realistic view of a tournament through the eyes of four very different characters? (Here are the links: Part I, Part II, Part III, Part IV) The tourney journey, (such a neat ring to it!) has turned into a novel, that once finished (by the end of this year) will be available for your reading pleasure. Now on to the new journey! Together we'll travel into the realm of Henry VIII of England. Our tour guide: Sir Gerard Ashby of Lincolnshire. 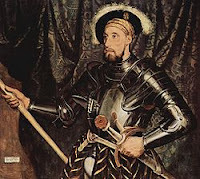 Sir Gerard accompanied his mother and father to court as a young boy. His father is a Viscount and not only a knight for the king, but a Gentleman of the King's Privy Chamber, his mother a Matron of Honor to the Queen. 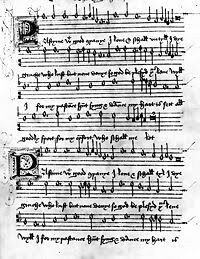 Part I of A Courtier's Journey will grace these pages on Monday, the 23rd day of August, year of our Lord 2010. Additionally, I'd like to introduce you to another me, yes you read that, another me. While Eliza writes historical romance, my new alter ego, Michelle Brandon, writes historical fiction (more news on forthcoming books soon!) My new website is still under construction (http://www.authormichellebrandon.com/) but once finished, it promises to entertain you immensely! I admit to being a bit weary when I agreed to read Woman of Influence. Why? Because it is the ninth in a series, and I haven’t read the previous either. The author, Rebecca Ann Collins, has taken Austen’s Pride and Prejudice and expanded it, but not just a continuation of Darcy and Elizabeth’s love, but generations. Her series begins with The Pemberley Chronicles. Woman of Influence is about the daughter of Mr. Collins and Charlotte Lucas. Becky Collins has always been determined not to submit to the pressures of Victorian society. But her marriage doesn’t bring her the opportunities she’d hoped for, and her outspokenness does not find favor with the gentrified ladies of Pemberley. As the unintended consequences of her errors in judgment engulf her, Becky begins to understand what’s really important in life. But has she learned her lessons too late? I was extremely pleased to read Woman of Influence. The book was fantastic, characters dynamic and realistic. They fairly jumped off the page. I could hear their voices as they talked, see them move. Ms. Collins has a voice most like Jane Austen, actually one of the few authors I’ve found who does. I really enjoyed reading about Rebecca “Becky” Collins (which I chuckled at since the author and main character share the same name). Ms. Collins, the author, has created quite an intriguing and colorful world with her expansion of the most beloved Pride and Prejudice. 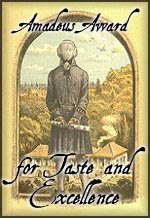 If you are a lover of Jane Austen’s work, then I would recommend reading Rebecca Ann Collins books. She is a modern gem in the Jane Austen fanfic world. A lifelong fan of Jane Austen, Rebecca Ann Collins first read "Pride and Prejudice" when she was twelve years old. She fell in love with the characters and devoted many hours of reading to discovering more about the author and the period in which she lived. With the benefit of an excellent English teacher and a well stocked library, she gathered a wealth of information and studied all the works of her favourite author. Later, she went on to specialize in the history and Literaure of the 19th century- a most dynamic and interesting era, which saw amazing social and political changes in Europe. It was also a time in which many women writers were published- Jane Austen, the Brontes, George Eliot- writing fascinating tales which became classics of 19th century English literature. The study and research Ms Collins undertook became the basis of her books about the Pemberley families in which she sought to explore the lives of the characters she " borrowed" from Jane Austen's Pride and Prejudice" - as they continued on their various ways, joined by several new characters of the next generation. The project has been her chief obsession since 1996 and has given her what she calls "the happiest decade of my life". The popularity of the Pemberley Chronicles Series and the many messages she receives from readers who love the characters and their stories is her chief reward. With her love of reading, music art and gardening Rebecca Ann claims that she is quite comfortable with the values and world view of Jane Austen and writes easily and credibly within the period. Although she enjoys the convenience of modern life, she feels great empathy with the characters she portrays and the ideas and causes that inspire them.